Apple has just released the official iOS 9.3.5 Firmware (Build 13G36) full and final version for iPhone, iPad and iPod touch devices. The latest iOS 9.3.5 Update is available to all general public users for over-the-air OTA update / upgrade / manual installation with iTunes for free. If you're having any kind of issues and problems with your current and old iOS 9.x.x software, then it's a recommended update for your iOS-devices. 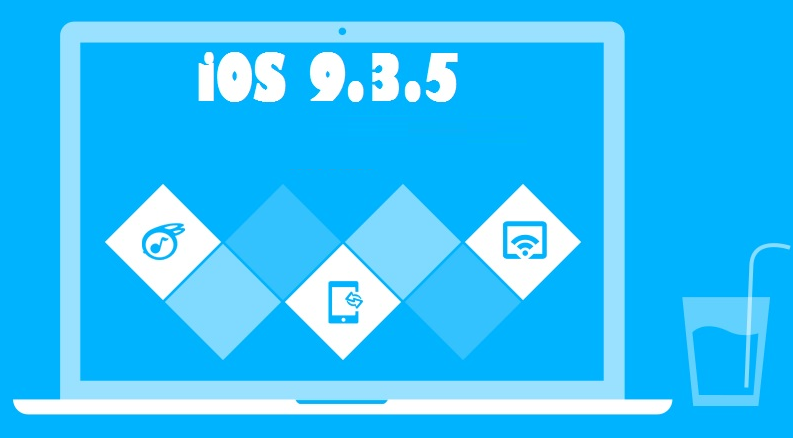 The official iOS 9.3.5 IPSW Download Links for iPhone SE, iPhone 6S Plus, iPhone 6S, iPhone 6 Plus, iPhone 6, iPhone 5S, iPhone 5C, iPhone 5, iPhone 4S, iPad Pro, iPad Mini 4, iPad Mini 3, iPad Mini 2, iPad Mini, iPad Air 4, iPad Air 3, iPad Air 2, iPad Air, iPad 2, iPod Touch 6 and iPod Touch 5 is available now. The all new iOS 9.3.5 Update offers several bugs fixes, performance, security, stability improvements and enhancements with newly added features functionalities changes. As of now, no official iOS 9.3.5 Jailbreak is available from any of the iOS Jailbreakers i.e. team PanGu, TaiG and PP. How to Install iOS 9.3.5 Manually? 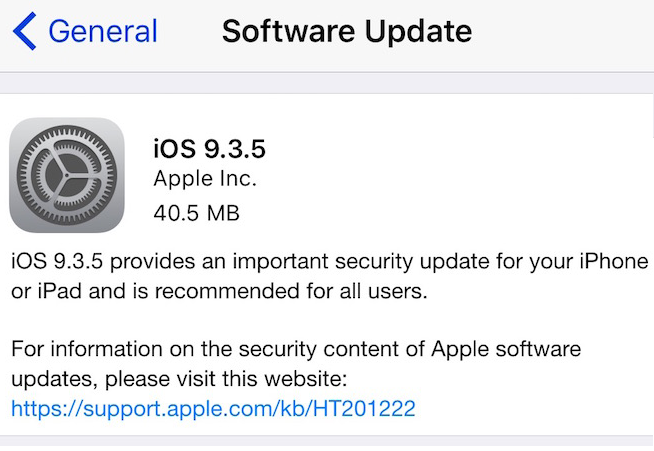 To get iOS 9.3.5 OTA Update directly from Apple, all iPhone, iPad and iPod touch users can head over to Settings >> General >> Software Update option. Apple iOS developers can also go to iOS developer website for official iOS 9.3.5 Downloads. Non-developers can manually install and activate iOS 9.3.5 without UDID developer account for free.